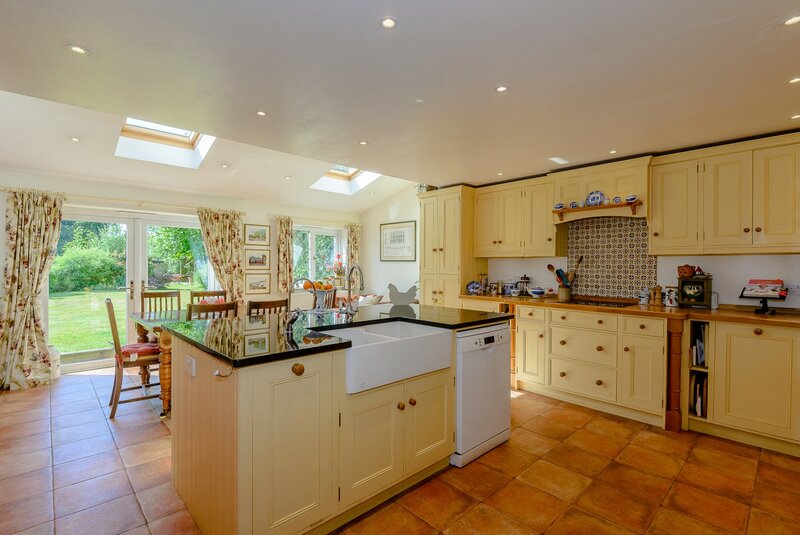 A well-proportioned family home occupying a rural yet accessible location set amongst just under 4 acres of beautiful gardens and paddocks. DISTANCES HARTFORD 3 MILES NORTHWICH 4 MILES M56 7 MILES CHESTER 16 MILES LIVERPOOL 26 MILES MANCHESTER 28 MILES ACCOMMODATION IN BRIEF - Staircase Hall; Lounge; Dining Room; Kitchen with Breakfast Area, Conservatory; Study; Utility Room; Boot Room; Cloak Room - Master Bedroom with Ensuite Shower Room; Bedroom 3 with Ensuite Shower Room, 2 further Double Bedrooms; Family Bath Room OUTSIDE - Gated Entrance; Double Garage and adjoining Stabling with Planning Permission for conversion; Kennel; Parking - Well Stocked Gardens; Patio; Vegetable Garden; 2 Paddocks; Rural Views. - In all about 3.7 acres (1.ha). PROPERTY INFORMATION - Services: Mains Water & Electricity. Oil Fired Central Heating. Private Drainage. Telephone and Broadband connection. - Local Authority: Cheshire West & Chester - Tel: 0800 1234123 - Council Tax: Band G £ 2,878.70 payable 2018/19. 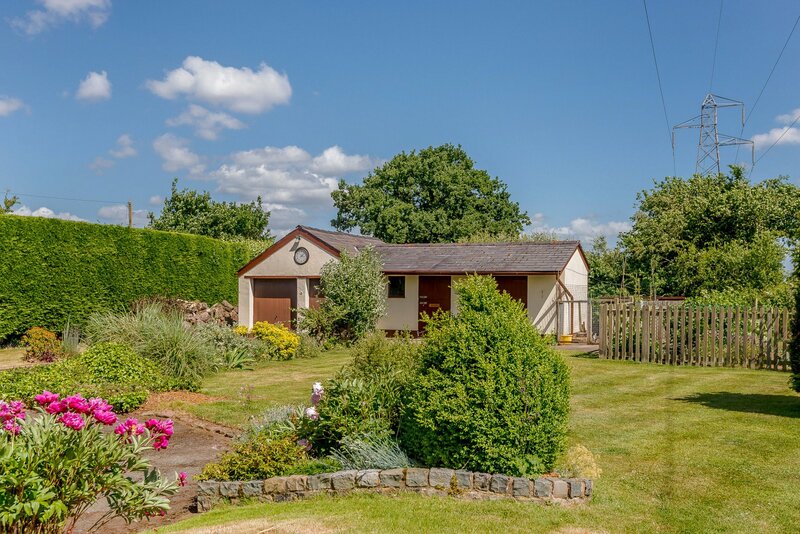 LOCATION Millington Cottage occupies a beautiful rural position on the edge of Cuddington, some 4 miles to the west of Northwich. 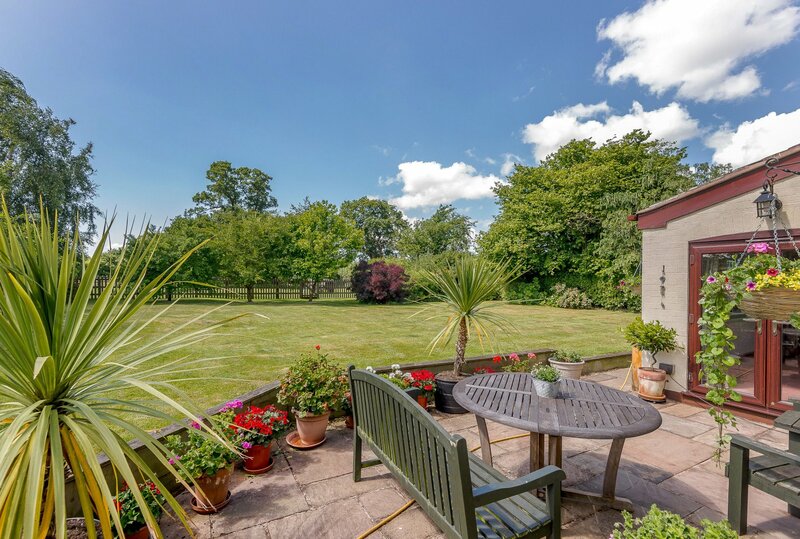 It is situated in an extremely popular part of the county well away from busy main roads and yet convenient for all the major areas throughout the north-west. The villages of Cuddington and Sandiway have primary schools, nurseries, churches, butchers, library, dentist, doctors and local shops. On the recreational front there is Blakemere Craft Centre, several golf courses locally, notably at Delamere and Sandiway, sailing at Manley Mere or Great Budworth and motor racing at Oulton Park. For those with equestrian interests there are miles of hacking in Delamere Forest, Polo at Tarporley and racing at the Roodee in Chester. Schooling is very well catered for with a choice of both private and state schools nearby including The Grange at Hartford, Cransley, Weaverham High School, Hartford High School and St Nicholas' RC High School in the area. 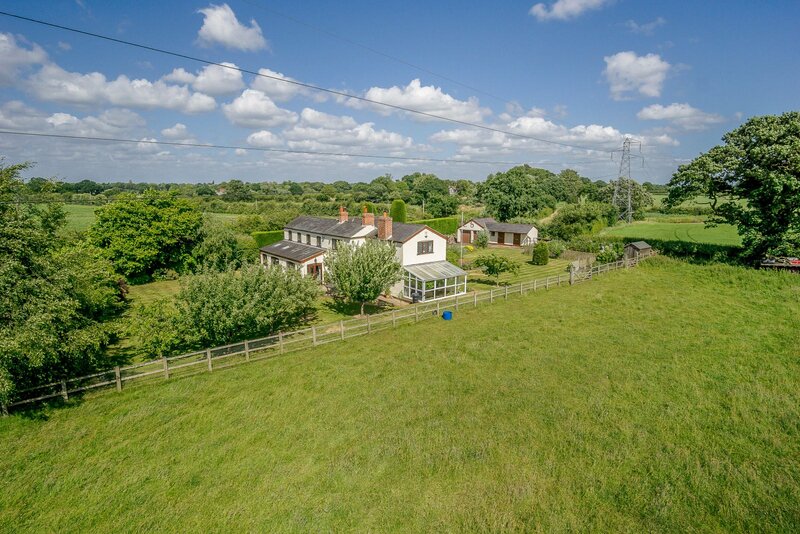 COMMUNICATIONS Despite the property's rural location it enjoys excellent road communications with the M56 under 7 miles away facilitating daily travel to Manchester and Chester as well as linking with the M6 and M53 for commuting to Liverpool or Crewe. There are international airports in Liverpool and Manchester and for travel to London there is a direct train service from Hartford station (2 miles) to Euston, a journey of under two hours. There are direct lines to Liverpool and Manchester from Acton Bridge (11/2 miles) and Cuddington (11/2 miles) respectively. 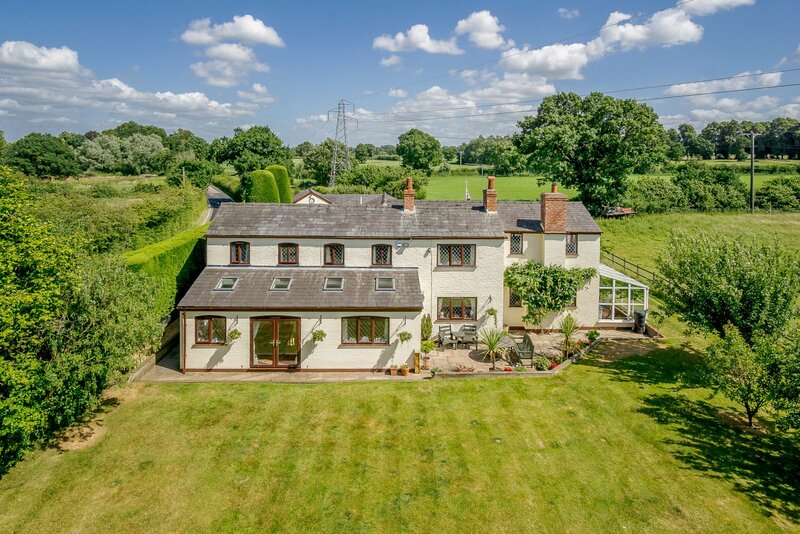 DESCRIPTION Millington Cottage is a spacious country cottage which occupies a peaceful location in the heart of the county. 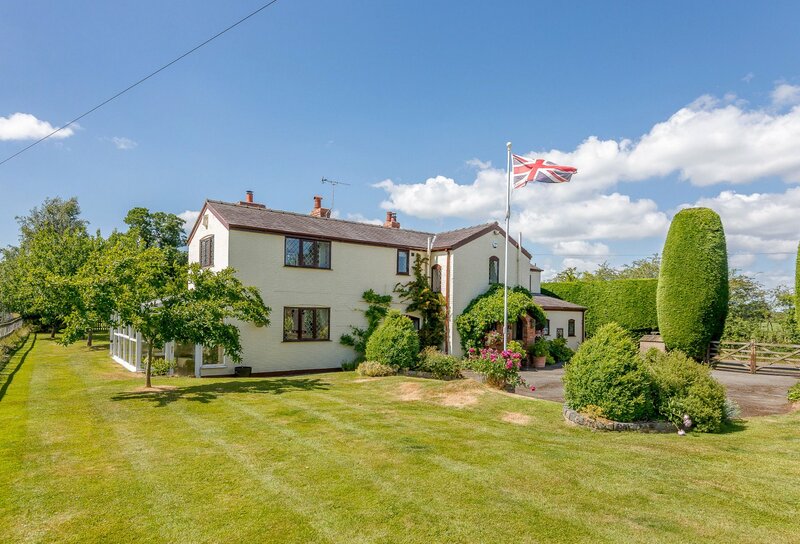 The house is thought to date from the 19th century albeit with later significant extensions including the Lounge, Conservatory and Master Bedroom and most recently in 2009 a double story extension to the Dining Room and Kitchen creating spacious family accommodation. In addition the vendors have gained planning consent for the garage and stables to be converted into ancillary accommodation. The house is built of brick with painted elevations under a slate roof with the benefit of oil central heating and double glazing throughout. 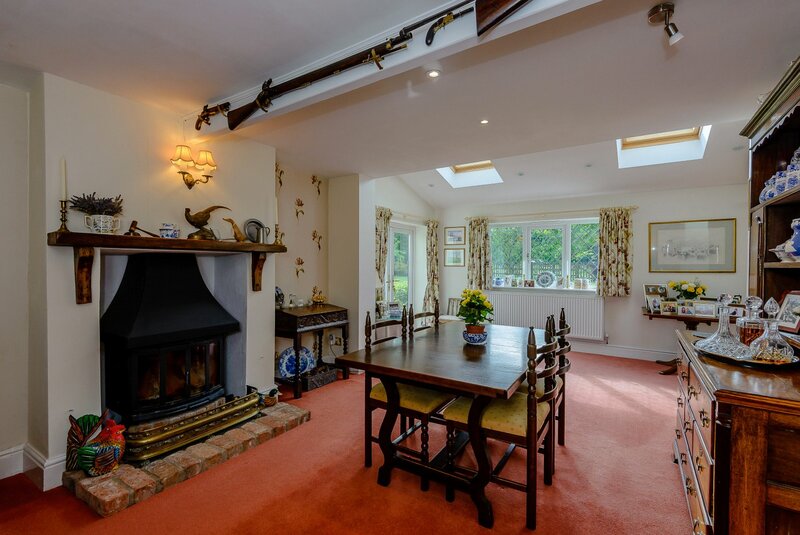 Despite the recent modern improvements the house has a traditional feel with a fine blend of contemporary living providing well-proportioned living space over 2 floors. 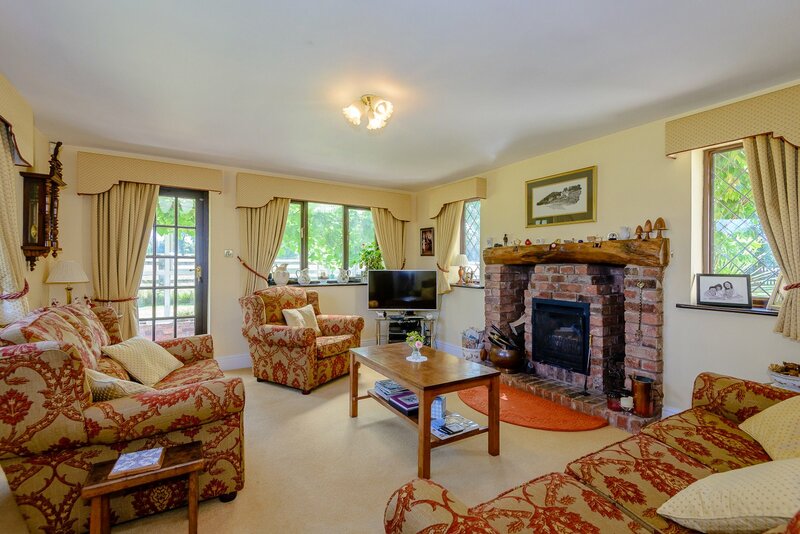 From the staircase hall there is access to a cloakroom and the lounge which has an open brick fireplace with a timber beam above and enjoys a pleasant aspect over the front and rear gardens. Adjoining is the conservatory which has south facing aspect and houses an impressive vine. 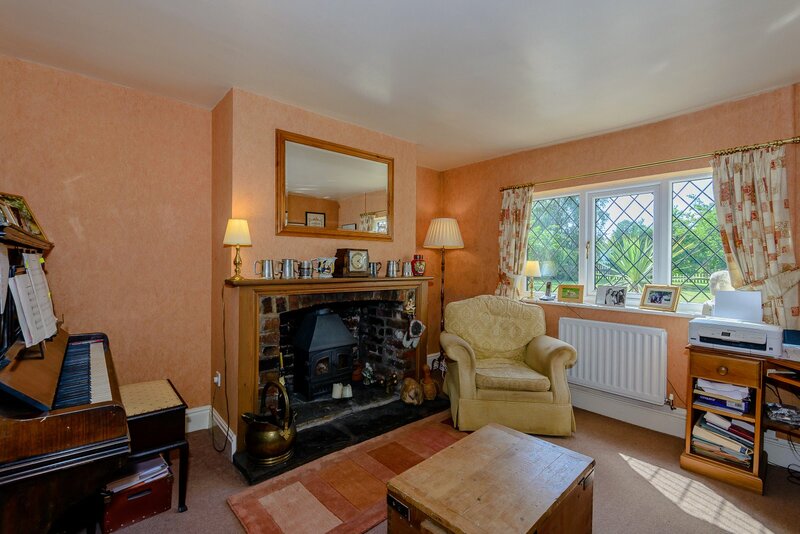 Next to the lounge is the study which has a multifuel burner on a York Stone mantel with brick and timber surround; whilst the room is currently used as a study it could be a second lounge if required. The kitchen with breakfast area is a prominent feature of Millington Cottage as it incorporates a range of bespoke fitted wall and floor units beneath polished granite work surfaces, Villeroy & Boch Belfast sink with companion Quooker instant boiling water tap, Neff fridge freezer, 4 ring ceramic hob with extractor over and double oven. 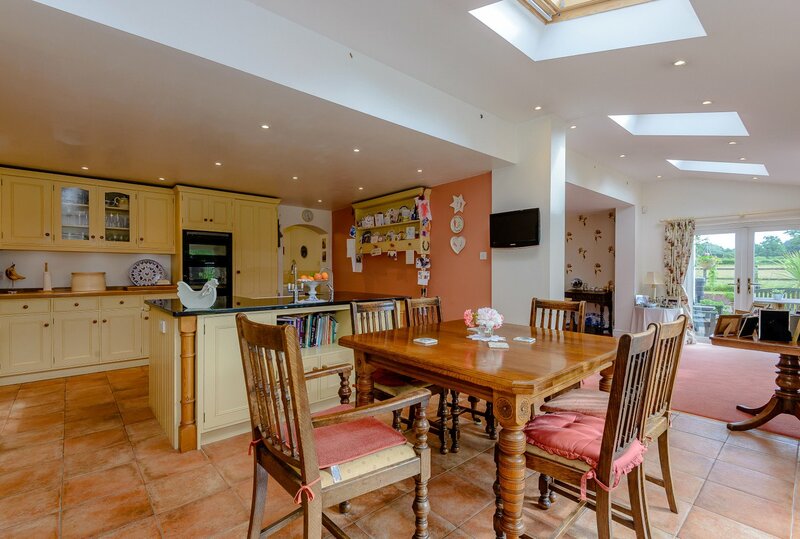 There is a breakfast area with space for a dining table and double doors onto the rear patio and remotely controlled velux windows creating a lovely light area which proceeds to open up into the neighbouring dining room which has a wood burner. A the end of the building is a utility and boot room with a range of base units and storage cupboards incorporating stainless steel sink unit, plumbing for a washing machine and a Worcester oil fired boiler. At first floor level there is good sized accommodation which as presently laid out comprises four bedrooms, two of which are en-suit and in addition to which there is a family bathroom. 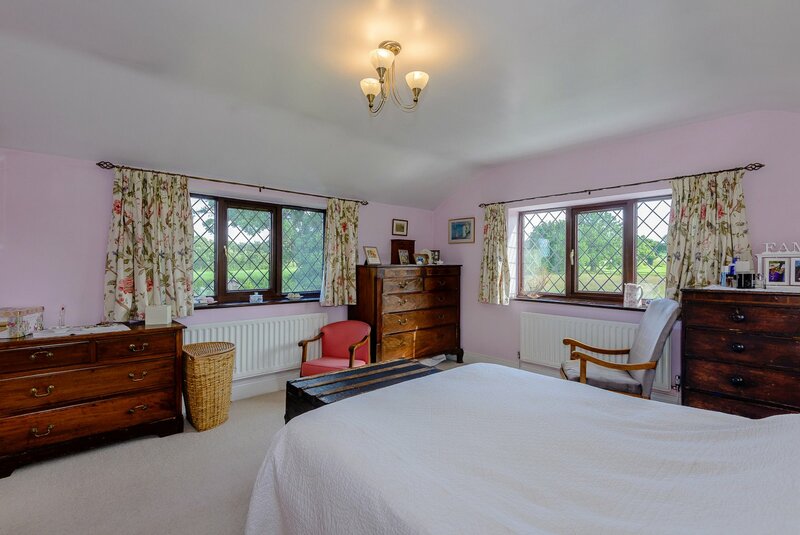 The master bedroom benefits from a triple aspect over the gardens and surrounding countryside and has an ensuite shower room. 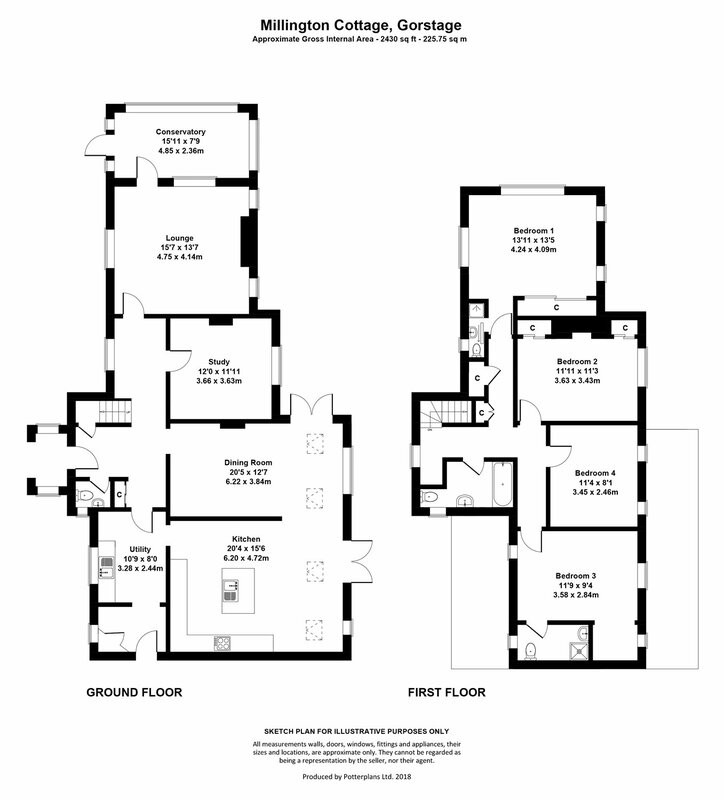 Beyond is Bedrooms 2 and 4 both of which are doubles and have a pleasant aspect over the rear garden. 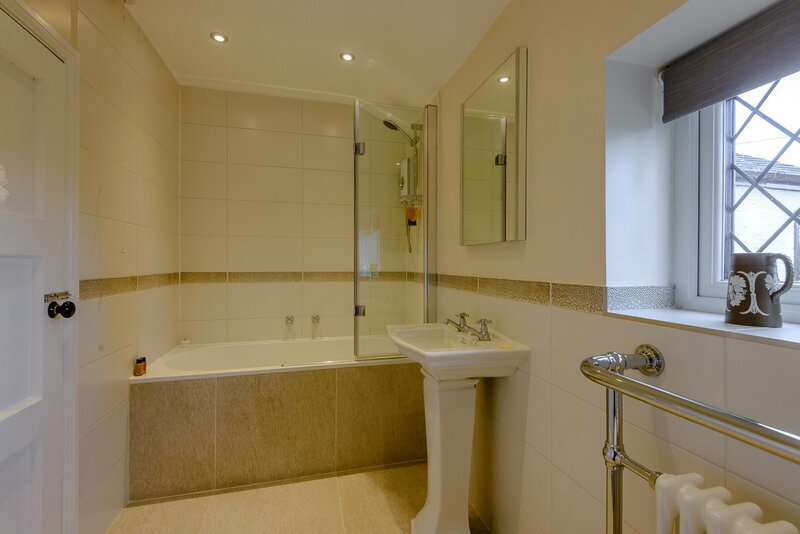 The family bathroom has recently been upgraded and has a quality Villeroy & Boch panelled bath with separate Triton electric shower, traditional style sink unit and heated towel rail. 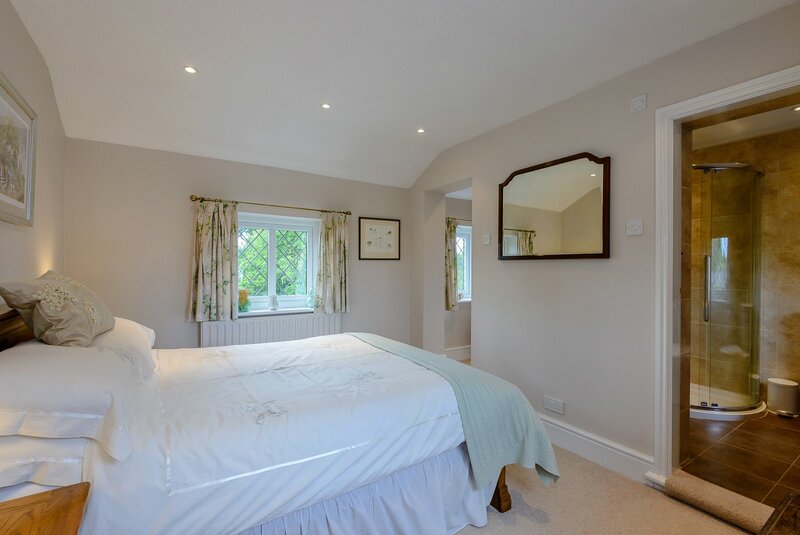 Beyond the landing is Bedroom 3 which has newly fitted ensuite shower facilities and a dressing area which could be used as a walk in wardrobe. 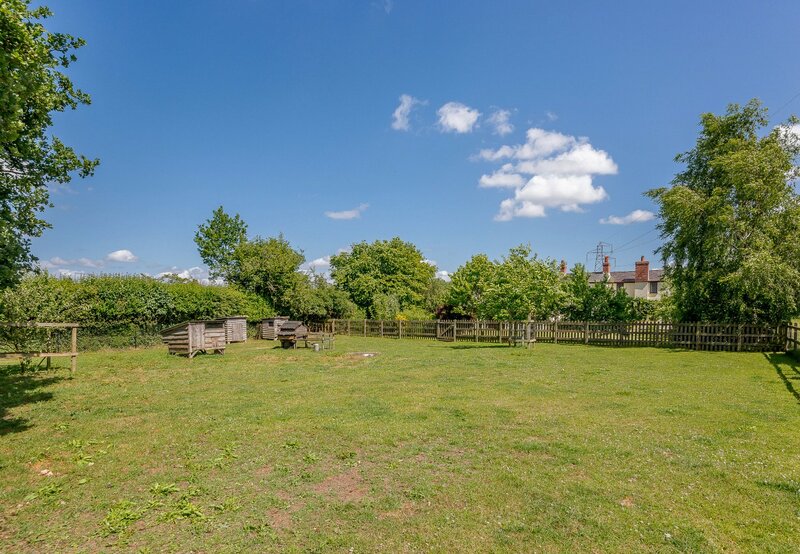 OUTSIDE The property is approached through a five bar gate onto a tarmac parking area to the east front next to which is a double garage and 2 adjoining stables. On 22nd August 2017 planning permission was granted for conversion of the garage and stable block into ancillary accommodation ideal for those who have dependent relatives, extended family or indeed to have office space to run a business. In addition planning was also granted to construct a new 3 bay carport/log store on the drive way. Further details are available via the agents. Adjacent to the stables is a kennel, vegetable garden complete with garden store. The gardens continue to the side of the property leading to south and west front and have been superbly landscaped over the years. They comprise of large patio area with formal lawn and dense borders supporting a variety of shrubs and trees in particular Wisteria, Honeysuckle, Black Mulberry, Plum and Apple trees as well as Walnut and mature Oak tree in the paddock. 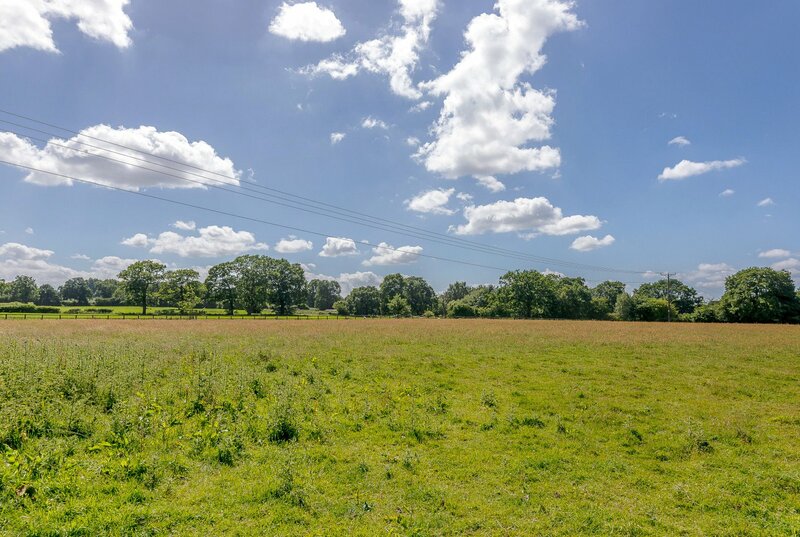 Beyond the immediate gardens are 2 flat paddocks with separate road access which offers valuable amenity to the house and would be perfect for those who wish to keep horses or indeed livestock on a hobby basis. As an alternative this area would serve well as an extension of the current garden as a recreational space. 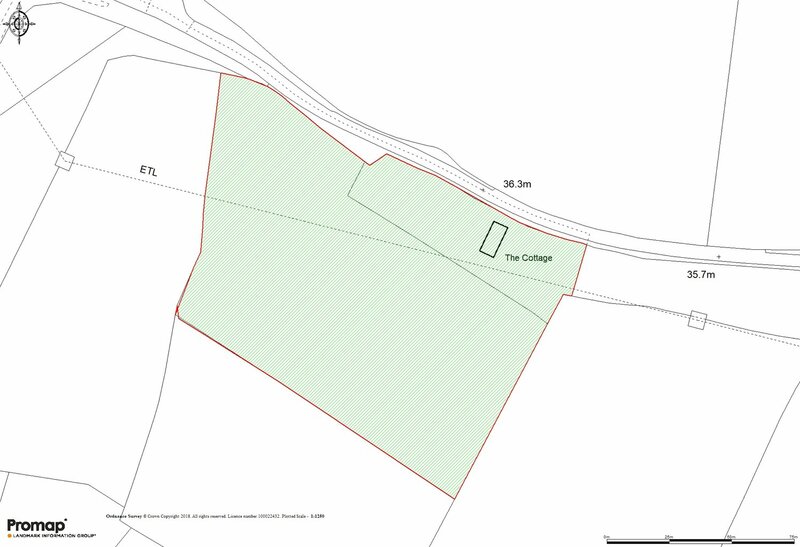 The paddocks extend to over 3 acres (1.2ha). 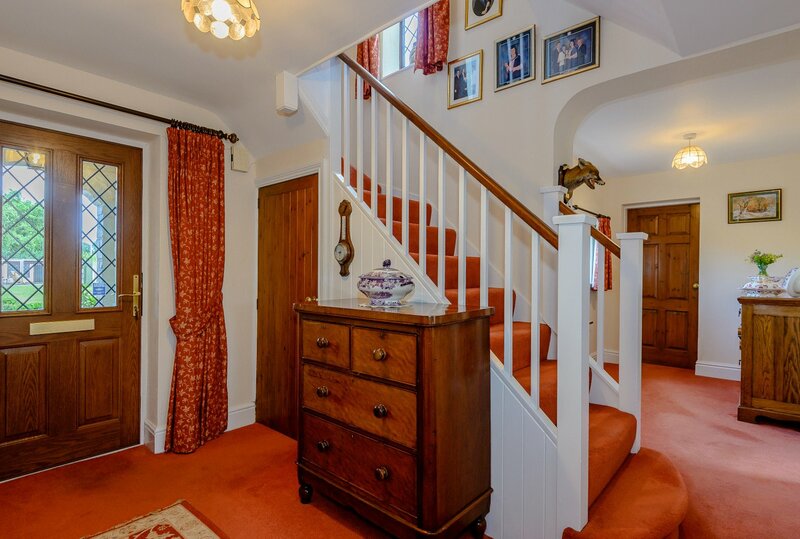 VIEWINGS Strictly by appointment via Jackson-Stops, Chester office Tel: 01244 328 361 FIXTURES Unless specifically mentioned in these particulars all contents, fixtures and fittings, garden ornaments, statues, carpets and curtains are excluded from the sale. Certain items may be available by separate negotiation. DIRECTIONS From Chester travel east on the A54 then the A556 passing through Delamere. At the A49/A556 junction turn left for Cuddington village continuing over the crossroads passing the Whitebarn Pub on the right out of the village. After approximately 400 yards turn right by the brown Oaklands Hotel sign onto Millington Lane and the property will be seen after a short distance on the right hand side behind tall conifers.